Say hello to our new GM! Say hello to Patima and Mash! For over 15 years, we’ve been working hard to help rescue pets all over Australia find loving families. It’s been a long road, but we're a determined bunch, and we're bolstering our awesome team by welcoming our new General Manager, Patima Tantiprasut, into our growing family. Patima will be using her creative genius to inspire and lead the PetRescue team, amplifying the in-house skills and capabilities across our distributed team of professionals. She’s already started paving the path towards helping us to achieve the big, hairy, audacious, goals that we have mapped out in the animal welfare space. 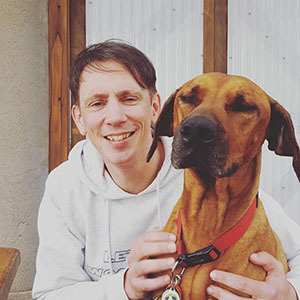 “I’m thrilled to be part of the PetRescue team and in awe of the great work that’s been done so far. 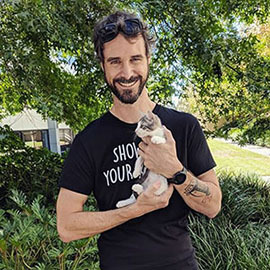 This is an organisation that’s been so humble with the amazing impact they’ve had and it’s incredible to see that they’ve actually created social change through technology and progressive thinking - I’m beyond excited to be part of this next chapter with PetRescue,” Patima said. 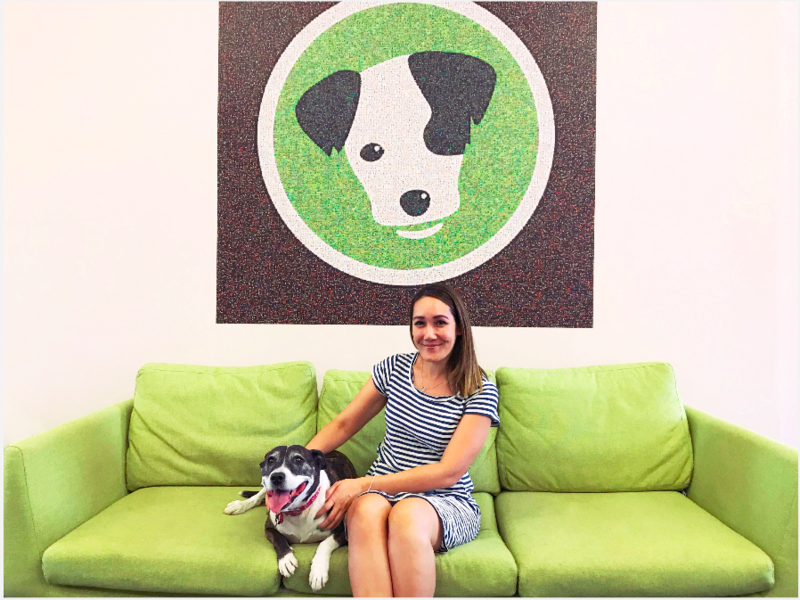 Patima joined PetRescue in February 2019, and she's nothing short of a superstar, with years of experience in leadership, product strategy, design, technology, digital marketing and community engagement. Her experience is extensive, having previously been part of a leadership team at Seven West Media as Head of Product and Design, Creative Director and Studio Manager of an award-winning Perth-based digital agency Bam Creative, Director of a Perth-based not-for-profit creative tech conference, MixinConf, and Co-founder of employee engagement startup 6Q. She was also on the committee of the Australian Web Industry Association where she volunteered her time to give back to the web community. As part of her tenure, she helped organise and host a monthly web meetup along with creating a national roadshow event for designers and developers. As well as ticking all the boxes for a gold star GM, Patima is also a dedicated pet lover, netball fan, self-professed foodie and gin connoisseur. Patima has dived straight in and road-mapped plans to enhance our technological prowess and drive our organisational goals in a sustainable manner, while rallying the PetRescue team to continue to stay motivated, inspired, and energised! “PetRescue is already so wonderful and the team have been incredibly welcoming and supportive. We do have many exciting, albeit big, big challenges ahead of us and it’s important that we approach our goals in a sustainable and scalable way, both from an operational viewpoint and also for the ongoing wellbeing of our team… until every pet is safe, respected and loved.” said Patima. Not only are we delighted about having Patima in our team, but we’re also over the moon about having her little bundle of joy, Mash, join us at Perth HQ. Patima is very keen to gather feedback about PetRescue’s platform and programs. Contact Patima at info@petrescue.org.au for any pet-tastic ideas, or to collaborate with PetRescue!